The cement industry has a variety of bulk handling needs for both direct cement mixing and treatment of flue gas from cement kilns. 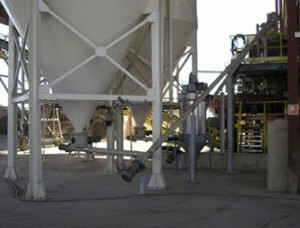 Sodimate supplies both new systems and retrofit equipment for handling dry cement mixes and chemicals to treat flue gas emissions. For direct cement handling Sodimate typically supplies a storage silo, mechanical silo unloader, feeder, and screw conveyor. 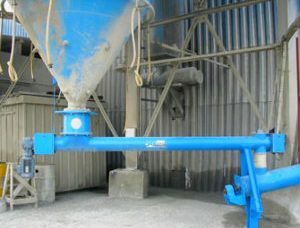 Existing storage silos which experience clogging and rat-holing can be retrofitted to include Sodimate’s mechanical unloader to ease discharging.